Despite the rhetoric that will accompany the visit by King Mohammed VI and his entourage, the reform process in Morocco, in reality, has stalled. In the first five years after taking the throne in 1999, the young monarch took some bold steps: he presided over an “equity and reconciliation” process that acknowledged, and provided reparations for human rights abuses committed under his late father, King Hassan II, and made reforms to the family code that reduced legal inequality for women. But since then, the talk of reform has outpaced real change. Scores, perhaps hundreds, of Moroccans are still serving prison terms after unfair convictions. They include Islamists, advocates of independence for Western Sahara, and, increasingly since 2011, young people who joined pro-democracy street protests. Police still extract confessions by force, and the courts use this and other tainted evidence to convict dissidents. The law imposes prison terms on people who “cause harm” to the monarchy, the royal family, Islam, or Morocco’s claim to the disputed Western Sahara. Though civil society is vibrant and dissent is tolerated to some extent, police regularly charge through peaceful sit-ins and marches, banging heads and breaking bones. On September 17, Moroccan authorities jailed one of the country’s leading independent journalists, Ali Anouzla, for reporting about a propaganda video attacking the king that al Qaeda in the Islamic Maghreb had posted online. Anouzla, known for his critical reporting about the king’s handling of state affairs, spent 37 days in pretrial detention. He faces a sentence of up to 20 years in prison if convicted for “aiding” terrorists under the 2003 counterterrorism law, whose broadly worded provisions have tripped up other journalists for reporting on terror groups. Last year, a song and YouTube video deemed “insulting” to the police earned the rapper Mouad Belghouat (known as “El Haqed”) a year in prison. Even Morocco’s vaunted moderation on social and religious issues has its limits. 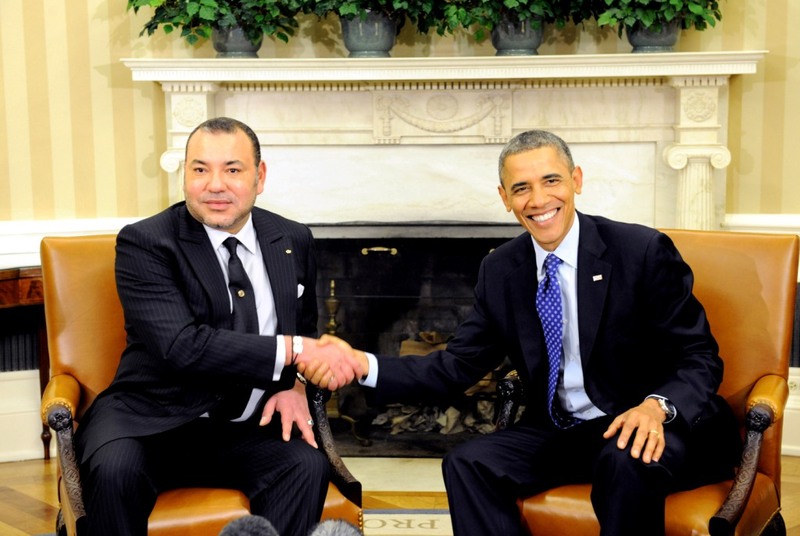 On the day Mohammed VI meets Obama, two teenagers in Nador will go on trial on charges of “public indecency” for posting a photo of themselves kissing on Facebook. When protests erupted in Moroccan cities during the Arab Spring nearly three years ago, the king responded quickly by promising a new constitution and early elections. Later that year, Moroccans approved the new constitution (by a 98.5 percent “yes” vote, if the official figures are to be believed), and elected a parliament that gave rise for the first time to an Islamist-led government. True, the 2011 constitution contains bold human rights provisions, for example, empowering citizens to challenge the constitutionality of existing laws, and even obliging police officers to read Miranda-like rights when making an arrest. But so far, these fine words have not been translated into national laws or applied in practice. And the elected government has been able to accomplish little, in part because the constitution hardly touches the king’s vast and mostly unchecked powers and prerogatives. It would be a mistake, however, to accept the narrative that Morocco has inured itself from social upheaval by embracing meaningful reform. Street protests have not coalesced into a mass movement, partly because the opposition is weak and fragmented. But week after week, local demonstrations against injustice, unemployment, and repression occur in towns and cities across the country, and often degenerate into stone-throwing, property damage, and police crackdowns. Such incidents were rare a decade ago; they now erupt every few weeks, with increasing levels of violence. This is contributing to a potential instability that threatens the kingdom’s “Arab exception” narrative. Before the Arab Spring, Tunisia and Egypt also seemed stable. If Morocco wants to be truly “exceptional” in its region, and meet people’s aspirations for human rights and democracy while maintaining stability, the country should act on the reforms the king has been talking about for years. 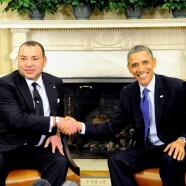 That is what Obama should tell Mohammed VI when they sit down together. To say so is not to detract from Morocco’s stated reform agenda, but to show that the United States knows the difference between real reform and the appearance of it. Morocco’s civil society and pro-democracy activists are well aware of that distinction. They would welcome some understanding from Washington.